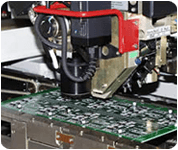 We use state of the art surface mount and through hole equipment including automatic Pick & place, BGA rework and X-Ray equipment, Reflow Ovens etc. 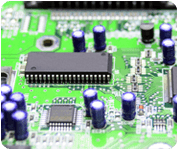 Optimized reflow processes to protect the PCB laminate and Components from temperature excesses and achieve highly reliable solder bonds. Fast to standard turnaround times for assembly – from 1 day to standard 5 or 10 days or scheduled turns. Assembly with customer-supplied parts (consigned assembly) or with parts procured by us. (turnkey assembly) or a combination of the two. Process oriented and highest quality assembly. Rework as per customer needs - Simple to highly complex. BGA rework using state of the art BGA rework stations equipped with X-Ray machine. 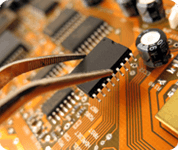 We also offer BGA Reballing of those BGAs that are desoldered and customer wishes to use them again. 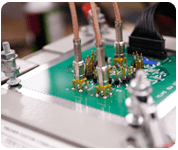 We provide a complete transition path from existing Tin-lead solder based assembly to ROHS compliant assembly. 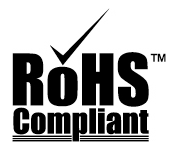 Our ROHS design conversion services span from BOM modifications to Board level design modifications as required by specific types of parts used in the existing design. You may send us your components as a kit (consigned), or you may ask us for Turnkey assembly, i.e., we source the components. Ability to source components from virtually any vendor/component manufacturer / component distributors around the globe. Strong relationships with component suppliers. 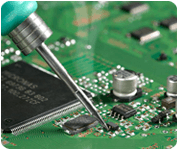 Testing of PCB assemblies as per customer requirements is offered as an OPTION. 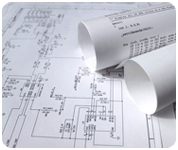 We also offer Test Plan design services in specific cases. 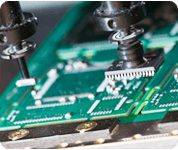 We offer comprehensive relevant DFM analysis feedback to the customer regarding the assemblies that are either in the design stage or are currently under manufacture. or (408) 522-1500 to speak to a sales person.